It was a warm summer night in the beautiful city of Los Angeles where Thee Oh Sees were set to pummel the crowd out for an exciting night full of scorching tunes. The El Rey Theatre was decently busy for a Sunday evening. 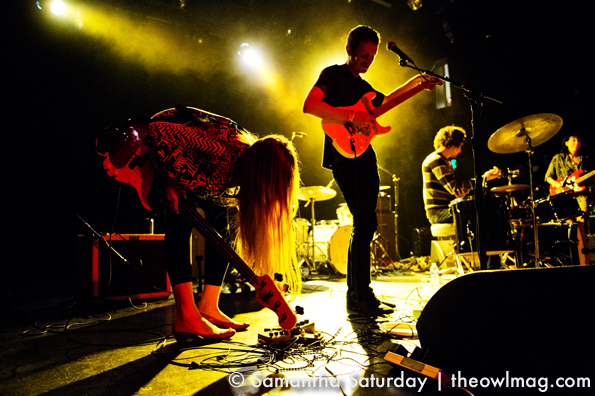 The crowd was treated with appropriate sounding openers, The Mallards and Sic Alps, both of whom had some similarities to the night’s headlining band. But when Thee Oh Sees started their set, all hell broke loose. Instantly a pit erupted in the center of the dance floor with multiple crowd surfers while the band jammed out to “The Dream.” This trend continued with each song they played, the band’s goal was “to play as many songs as we can” as singer/guitarist, John Dwyer, declared between songs. The band played with such ferocious intensity it was as if it was the last time they would ever play together again. 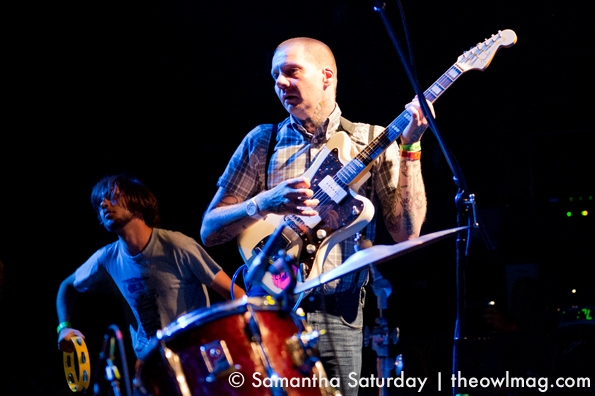 The setup of the band was a welcome change with drummer, Mike Shoun, front and center alongside Peter Dammit and John Dwyer. 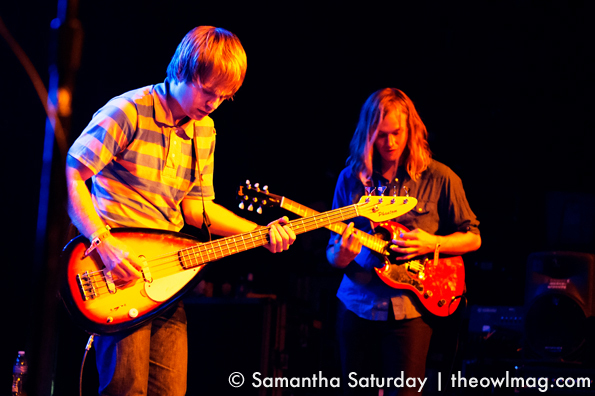 And when the band dove deep into the sounds of their instruments they stayed in sync even at their most chaotic moments. It was unfortunate that keyboardist, Brigid Dawson, was secluded to the back of the stage as it was difficult to look past the other three when Brigid would break out into her own organ solos. The band played a fair mix of past and present songs, from albums Castlemania, Carrion Crawler/The Dream, and Warm Slime. They especially showed off songs from their forthcoming album, Purifiers II, including “Lupine Dominoes”. Songs “Carrion Crawler”, “Block Of Ice”, and “Posion Finger” were among some of the songs performed that drew the loudest response from the crowd. Thee Oh Sees play the perfect mix of psychedelic/garage rock influenced by punk rock icons as well as guitar driven sounds of the 1970s. Even at its more subtle moments the crowd craved contact continuing to crowd surf and pogo, at what might not have been the most appropriate time. 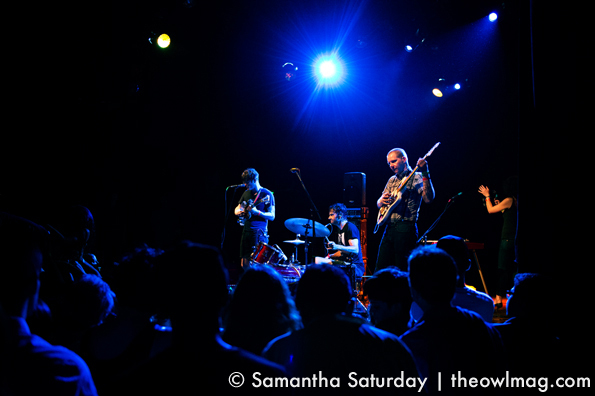 But this was a Thee Oh Sees show and nothing less was expected of the nights attendees. At the conclusion of the concert a look of complete satisfaction could be seen on the faces of the fans leaving the venue. 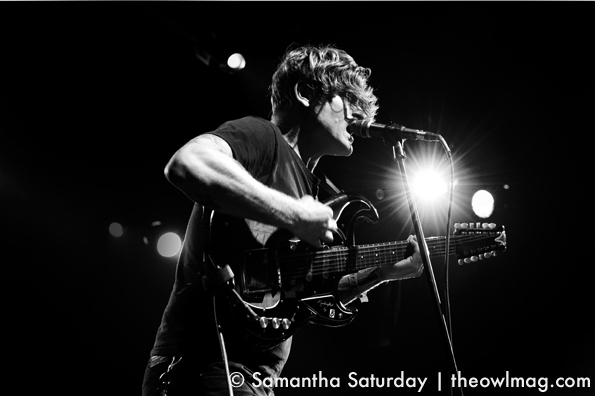 Thee Oh Sees performed a perfect rock show for us all to remember.